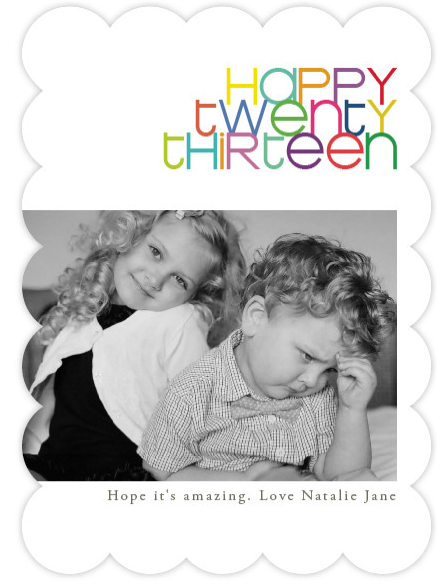 natalie's sentiments: Happy New Year! And a reader request. I've been under the weather since Christmas, but I wanted to say, Happy New Year! I'm pretty stoked about this year. I think it's going to be a good one. So I have a request. I want to start my google reader a-new. Get some new "Blog Blood". I'd love to read yours! Leave a comment below with your blog link and I'll add it to my reader. I've decided my favorite blogs are ones like mine. Just cool chicks talking about whatever. No blog? Just say hello anyway! Can't wait to get to know you in 2013! Hey natalie! I rarely ever comment, but I do read and adore your yellow blog. Feel better soon and happy new year! Hi! I am Lauren and have been reading yours for a few years! Love! What a fun way to find new friends! I may have to copy you! www.thevolkswagon.blogspot.com is just randomness and my photography one is currently www.voborilphotography.blogspot.com. Hi! My blog is www.masteringtheartofbeingme.blogspot.com. I'm definitely an honest, sporadic blogger. By the way, I am definitely not a cool chick. Love this! Would love to have you stop by. Commenting more is a good goal. I feel like I kinds "know" the blotters I follow, but it's possible they have no idea I exhist. I guess this is my sign to JUST START already! I've wanted to have my own blog for a long time, and the writing isn't even the scariest part.... it's making the page LOOK decent enough and all the html stuff that overwhelms me! Love, love, love your blog! & you are a cool chick!